Looking for the perfect compliment to your outdoor patio space? Get a built in propane grill to add to your patio and start grilling today! With quick ignition and maximum power, you can start your grilling with just a push of a button and grill right from your patio with the built in technology. It is designed for precision and speed to deliver perfect grilling results. 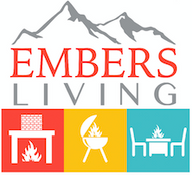 Visit Embers Living and start shopping for the best value on your propane grill today!